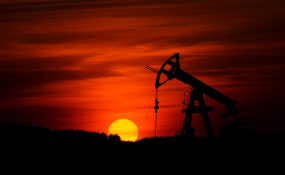 South Africa's intention to invest $1 billion in South Sudan's oil sector is still in the feasibility stage and is guided by the Memorandum of Understanding signed between the two governments. The MoU on the Joint Investment Project, which was signed last year, spans across the oil value chain in South Sudan, starting from an exploration block to a pipeline, a new refinery and finally, to a new terminal, Energy Minister Jeff Radebe said on Thursday. This project will unlock the reserves of South Sudan to be self-sufficient, serve regional markets and bring value, financially and strategically, for South Africa and South Sudan, Radebe said. This is not only for South Sudan but for the East African region, including Ethiopia, Tanzania, Uganda and Kenya, with Sudan creating a robust market that facilitates trade and other investment opportunities, the Minister said. Briefing the media on Thursday, Radebe said the project is still at the feasibility stage, where a number of assessments are still being made. This feasibility has been approved by the SFF [Strategic Fuel Fund Association] Board. However, at this stage, the project does not require any Cabinet or National Treasury approvals. "The stated $1 billion is the estimated cost of the full project, including the oil block, pipeline and refinery which will be spread over a period of 10 years. The amount is an indicative figure at this stage. "As with similar projects of this nature, upon completing the feasibility study, the project has a potential to attract other strategic partners and investors, which may include South Sudanese and South African companies," Radebe said. He was responding to weekend newspaper reports, which alleged he led a team to South Sudan to sign a R14.5 billion oil deal with the Sudanese government last year. Radebe, who dismissed the news report as baseless political scoring, said a project of this magnitude passes through various phases of approval and execution. No more than R2.2 million has already been spent on the project, which has been used mainly on personnel and travel cost. Radebe attributed the travel cost to the coordination between various divisions within the Central Energy Fund (CEF) Group and their counterparts on the South Sudanese side, hence the travelling of experts from both sides is necessary for prudent and timely execution of the project. The Minister said there are six experts assigned to the South Sudan Project and 12 to the Saudi Arabia Refinery and Petrochemical Project, who are also all sourced from within the CEF Group. The development of such a project requires key critical skills, which are scarce on the continent such as geologists, refinery specialists, process engineers, economists, financial modellers, petroleum industry experts, business analysts, investment and funding specialists, said Radebe. Responding to the removal of Luvo Makasi as the chairperson and a member of the CEF Board, Radebe said he was dismissed in his role following serious allegations relating to corruption. Radebe said South Africa's political position to support South Sudan in its social and economic development came long before he was the Minister of Energy. "Government-to-government cooperation had been years in the making and technically cast in stone - certainly, not by my own doing." South Africa is a net importer of crude oil and the government's strategy has been to source oil and gas for domestic use internationally where possible. South Sudan on the other hand has is a significant oil producer, with estimated reserves of 3.5 billion barrels of crude oil. It also has three trillion cubic feet (tcf) of natural gas in its estimated reserves, making it the third largest on the African continent after Nigeria and Angola. To illustrate the magnitude of the gas reserves, the PetroSA Gas to Liquids Refinery has over the past 20 years only used one tcf of gas. The country is landlocked and to get its oil to the market, it is dependent on a pipeline passing through Sudan and incurs significant logistical costs. It is envisaged that a Joint Investment Project with South Africa will assist South Sudan in finding an additional export route and in turn, bring strategic oil reserves to other markets including South Africa.